Children are a gift, an amazing blessing from life. 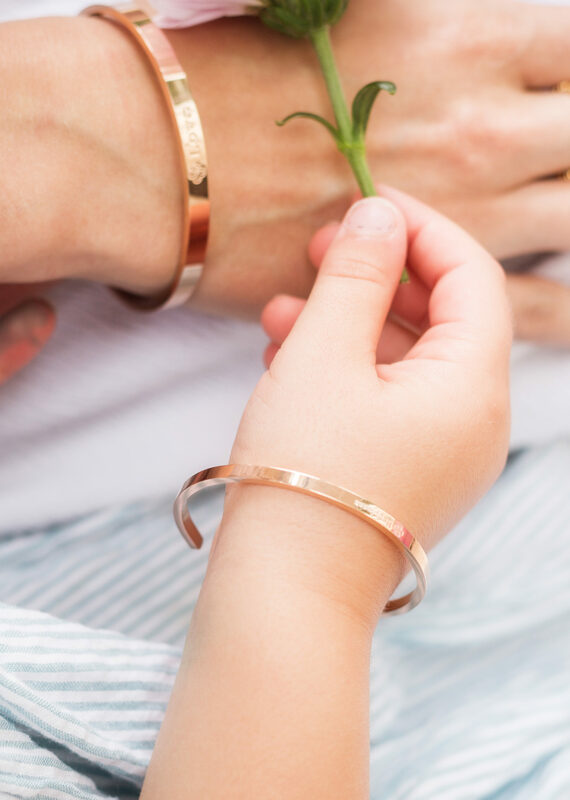 These beautiful children’s bangles with blessing’s are the perfect gift for your little ones to remind them of how special they truly are, choose from 5 blessings Love, Belief, Courage, Gratitude or Happiness. This piece of jewellery has come into your life because you are Loved. Carry Love with you every day, let it be a gentle reminder of the Love you radiate and how much you are cherished. You are a unique & very special person. This piece of jewellery has found its way to you to help you realise your dreams. 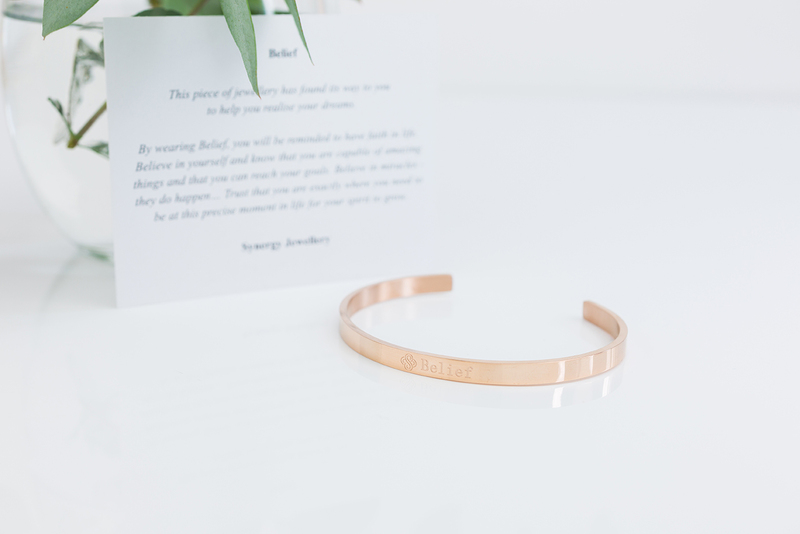 By wearing Belief, you will be reminded to have faith in life. Believe in yourself and know that you are capable of amazing things and that you can reach your goals. Believe in miracles… they do happen. Trust that you are exactly where you need to be at this precise moment in life for your spirit to grow. 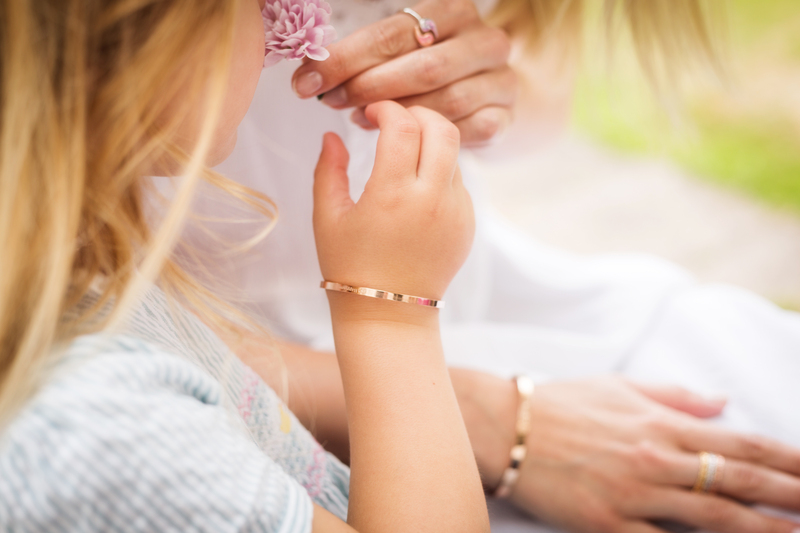 Stainless steel available in silver, rose gold and gold plating, (0.3 microns). Width 3mm, thickness 2mm. width across 5.5cm (adjustable). 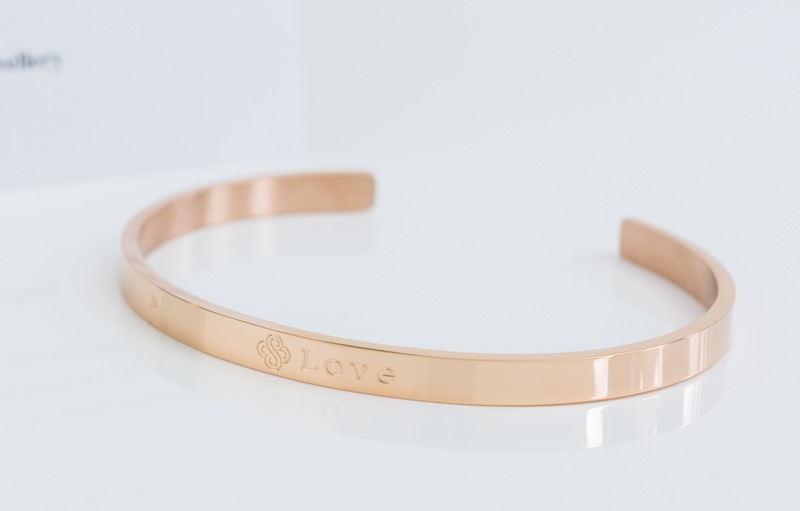 Available in Silver, rose gold or gold plating.